We all get spam emails from time to time, there’s nothing new there. Especially when you own your own business. But before I even opened this email I knew it was going to be bad. Now I’ve blurred out the sender's details because the point isn't to embarrass anyone, it's just to show how important a simple email can be! Well, apart from a few other things that I’ll go through in a minute, my name is not Paula! So What's Wrong With This Email And What Can It Teach Us In Business? Let’s start with the email subject line. 1. You’ve sent me a forwarded email.. If I had ever heard from you before, we’d been chatting on the phone and you said you’d re-send me an email or forward on a message from a friend, then the 'Fwd:' prefix is ok. Otherwise, don't use it. It screams spam straight away. 2. I’m not a recruitment agency and I’m not looking to hire anyone at the moment. 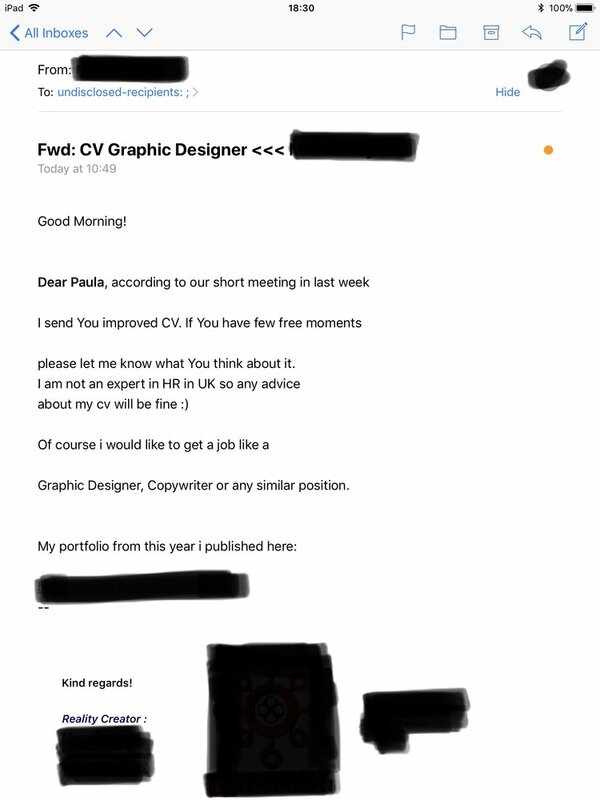 Therefore a subject line with the words CV in it is not likely to get opened. And by the way, those stroppy little arrows <<< are just annoying and off-putting! 3. My name is not Paula! Find out the name of the person you are emailing, and if you don’t know it, just stick to Good Morning or Good Afternoon! 4. Even at this point, I haven’t even opened the email yet and I can already see that the content is badly written and doesn’t make sense. Poor grammar, misspelled words and bad punctuation will not get you a job or clients! 5. You’ve lied to me. Not a great start! We didn’t have a meeting last week, no matter how ‘short’ you think it may have been! Do you think I don’t know who I talk to in my business? 6. Again, if you are pitching for a job as a copywriter, then you should know how to write your own introductory emails. There is so much wrong with it here, I don’t know where to start! 7. The ‘To’ field says ‘undisclosed-recipients’. Now I don’t feel special at all! I’m not going to mention anything about the quality of this guy's work, it's completely irrelevant to what this post is all about. The subject of the article is ‘The worst email I’ve ever received and what it taught me about how to pitch’, so let’s see what we’ve learnt from this. 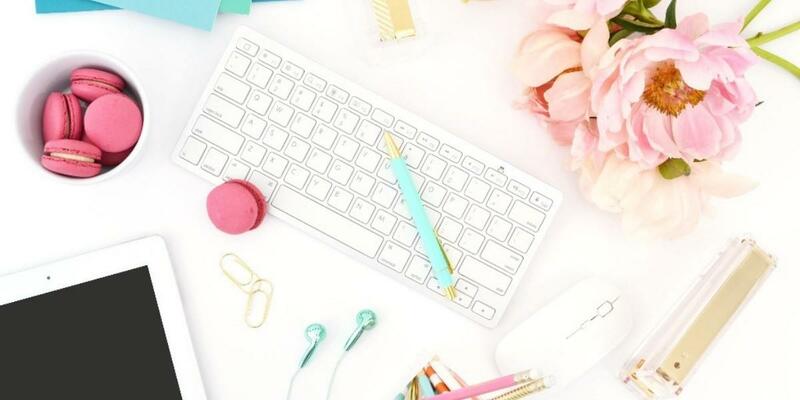 What Can This Email Teach You About How To Pitch? 1. Email subject lines are super important. It will literally be the deciding factor on whether your email is opened or not. 2. Specific targeting is imperative. Don’t just ‘spray and pray’. If you’re going to email a list of companies, be specific about who you are emailing. 3. Use emojis, punctuation and symbols with caution. 4. Know your recipient. Get his or her name, research if needed or call the company and ask who you should send your email to. If they tell you not to bother, that’s ok! You can concentrate on someone who is looking for your service. 5. Most email providers allow the user to see a preview of the email before they open in, usually just one or two lines, so be sure to make these informative and grammatically correct. 6. Tell the truth, if you are pitching for work, that’s fine. Just be open and honest about it. Never lie to someone who you want to pay you money! 7. Grammar, punctuation and spellings are important. Run spell check. Always run spell check. 8. Send emails individually. I want to feel like you are interested in working for me or with me, not that I’m an invisible name on a long list of random recipients. 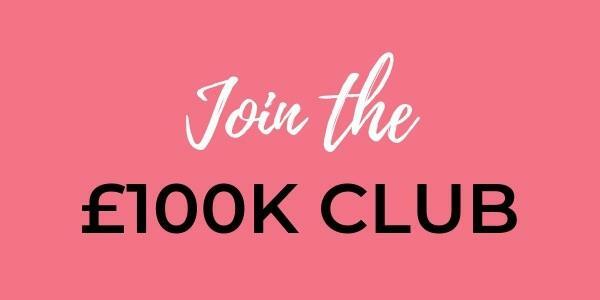 If you really can’t send individual emails, use a mail service provider like MailChimp, Mad Mimi or Aweber which will sort that bit out for you! 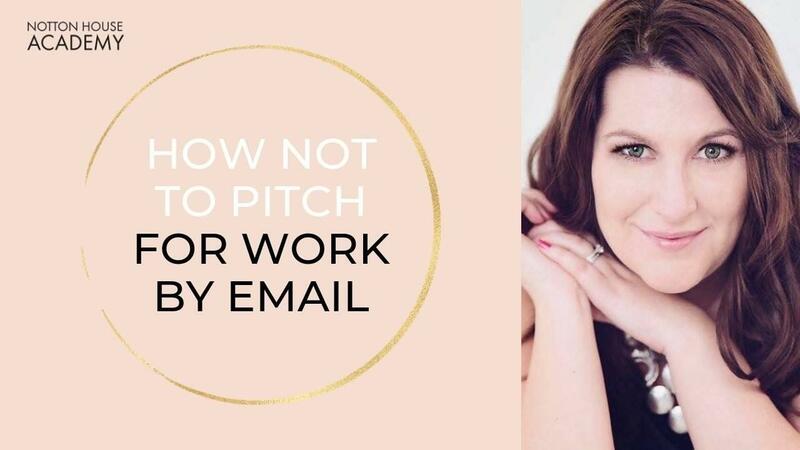 I hope those tips help you next time you are pitching for work by email!